What are the Options for the Width of Wood Floor Planks? 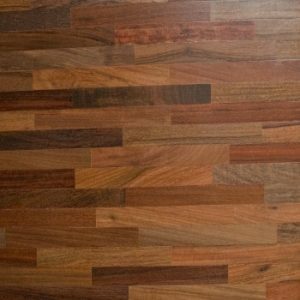 What are the different options available for wood floor plank width? If you’re in the market for a new wood floor, you might be focusing a lot of your attention on the different colors available. While the color of your wood floor can have a significant impact on the look and feel of the room, don’t disregard the impact of the width of the planks. There are many different plank widths to suit your design needs and the savvy homeowner will use this in conjunction with the floor color to achieve the look they desire. Today we’ll focus on two general categories for the width of your wood floor planks – wide and narrow. Wide planks, in general, are classified as anything with a width over three inches. However, there is a great variety of widths available from three to five and even ten to twelve-inch wide wood planks. Wide planks are great for homeowners who want to create an illusion of greater space in their room and appreciate their rustic style. However, wide plank wood floors are more susceptible to the effects of moisture and humidity damage, so this style isn’t advised for rooms such as bathrooms or kitchens or homes located in humid regions. A lot of homes feature wood floors with strips of planks around two to three inches wide. This style is sophisticated and elegant and is a great choice for entryways and formal dining rooms. They are also more resistant to moisture damage than wide plank wood floors. The main disadvantage to narrow plank wood floors, however, is that they may make a room appear smaller than it really is. Using light colored wood in narrow planks may alleviate this perception problem. This entry was posted on Friday, March 10th, 2017 at 11:43 am. Both comments and pings are currently closed.